Experience the beauty of China in this Circle-Vision travelogue. Dining/Refreshment: The China Pavilion features three eateries: Nine Dragons Restaurant, Lotus Blossom Café, and Joy of Tea. A full service restaurant that is open for lunch and dinner, Nine Dragons serves potstickers, spring rolls, stuffed buns, sesame chicken, pork, beef, fish, duck, tofu, and lo mein. Meanwhile, the counter service Lotus Blossom Café offers orange chicken, beef soup and salad, rice, and a stir fry; and Joy of Tea serves egg rolls and assorted teas. Restroom: Facilities are situated in the adjacent Norway Pavilion. Smoking Location: Smoking is permitted in designated smoking areas only. 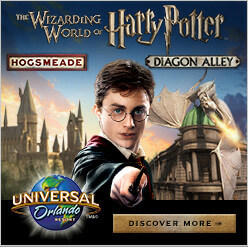 Epcot smoking areas can be found on our Walt Disney World Designated Smoking Areas page. Reflections of China is housed in a replica of the Hall of Prayer for Good Harvests, which was originally constructed near Beijing in the early fifteenth century within the larger Temple of Heaven complex. Disney’s Hall of Prayer for Good Harvests is supported by twelve outer columns, which symbolize both the twelve months of the year and the twelve-year cycle of the Chinese calendar. Four inner columns represent the earth’s four seasons and support as many beams, which form a square, symbolizing the earth. The lobby’s domed ceiling features a central gold medallion embedded with a dragon and a phoenix, the dragon symbolizing power and the phoenix symbolizing peace and prosperity. Reflections of China is a Circle-Vision film, meaning the production is displayed on screens along the circumference of the room. As such, no seating is provided in the theater; guests stand throughout the presentation. 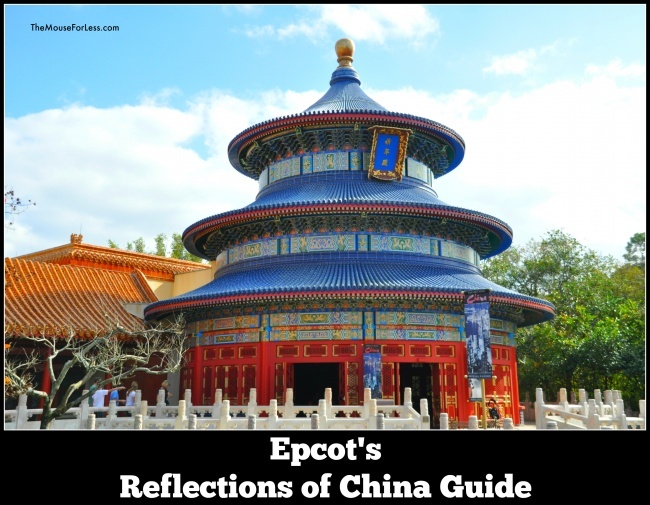 Reflections of China is one of two Circle-Vision films at Epcot, the other being O Canada! in the Canada Pavilion. Reflections of China replaced another Circle-Vision film, the 19-minute “Wonders of China: Land of Beauty, Land of Time,” in 2003. Wonders of China had operated since Epcot’s opening day, October 1, 1982. Reflections of China amalgamates scenes from Wonders of China with new footage, including vistas of Hong Kong and Macau, which had been under British and Portuguese rule, respectively, when the original film was shot. Reflections of China, like its predecessor, is hosted by an actor portraying the great poet Li Bai of the Tang Dynasty. The visuals in Reflections of China include: The Great Wall; Shanghai from various angles; the Yangtze River; the Gobi Desert; Inner Mongolia; the Shilin Stone Forest; the Harbin Ice Festival in the Heilongjiang Province; Macau; Hong Kong; Terracotta Soldiers; the Peking Opera performing “Havoc in Heaven”; and various locations in Beijing, including the Forbidden City and Tiananmen Square. Filming for Wonders of China, conducted between 1981 and 1982, was complicated by the United States’ precarious relationship with the Chinese government, which initially invoked major restrictions on filming and barred Disney Imagineers from taking aerial shots of the Great Wall of China and Tibet. Interestingly, the Imagineers acquired greater freedom after viewing Fantasia (1940) with Chinese officials. To date, Wonders of China is the only attraction from Epcot’s World Showcase to have been replicated at another Disney park. Wonders of China was also shown in Tomorrowland at Disneyland Park from 1984 to 1996. Disney opened Disneyland parks in Hong Kong and Shanghai in 2005 and 2016, respectively. While waiting to enter the theater proper, stand on the center stone in the lobby and say something. The design of the building projects your echo. 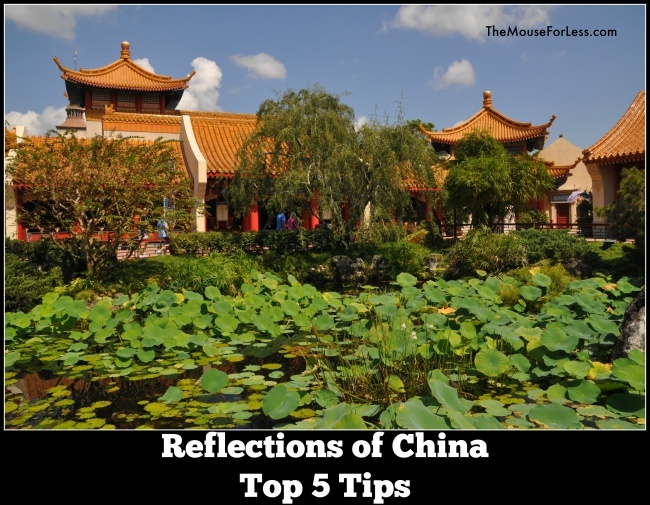 Enjoy Reflections of China at your convenience after World Showcase opens at 11AM. Take in the details of the Hall of Prayer. 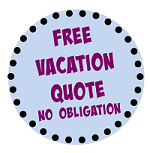 Guests in wheelchairs or ECVs can remain in their vehicles during the presentation. Consider watching Mulan (1998) prior to your visit.